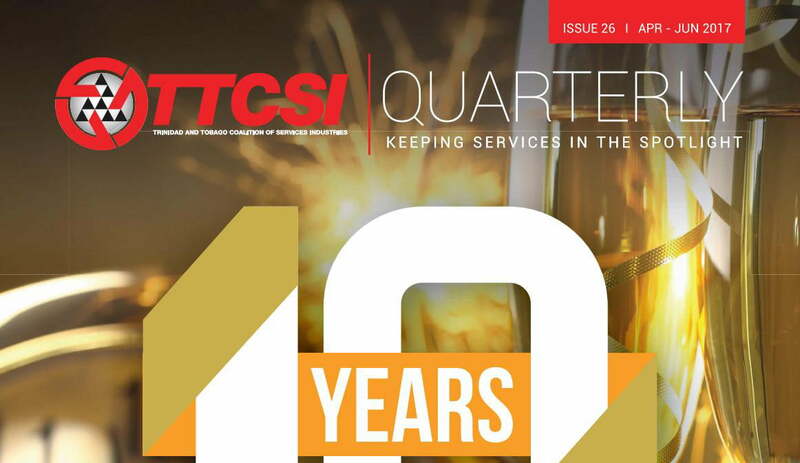 TTCSI’s membership is comprised of Associations within the services sector of Trinidad and Tobago, but not individuals. However, individual services exporters can take advantage of the full range of benefits TTCSI offers by joining their relevant professional Associations, which are members of TTCSI. Where no professional Association exists, TTCSI is willing to assist any group of professionals looking to form one. Just email us at info@ttcsi.org with your request. Where a professional Association exists, but is not yet a member of TTCSI, bring it to their attention, so that the members of the professional body may enjoy the benefits of being a TTCSI member. Enclose an *Application Fee plus an Annual Subscription Fee. Payment may be made by cheque or deposited directly into Account no. 1557153, at any branch of First Citizens Bank. Please enclose a copy of the receipt with your Application Form.